For over 30 years, Grey Fox Pottery has supported fellow American businesses with a wide variety of high-quality stoneware merchandise. Our wholesale beer steins are designed to complement the aesthetic and personality of your brewery or brew pub, pairing beautiful glaze colors, sleek styles and affordable prices to enhance the drinking experiences of your patrons without breaking your budget. 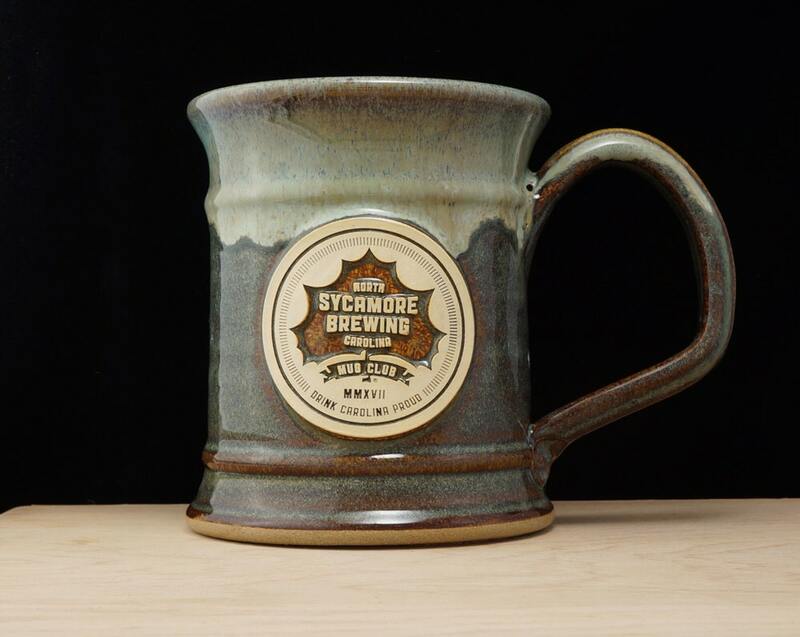 Thanks to our talented team of American artists, Grey Fox Pottery makes it easier than ever to showcase your company logo through stylish wholesale beer mugs. All you have to do is send us a digital copy of the artwork you’d like to feature on your steins. 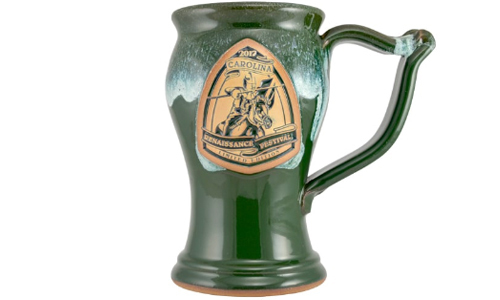 From there, our beer stein experts will use an advanced Ceramic Scrimshaw process to detail your steins with immaculate precision, perfectly recreating the look and feel of your chosen artwork. Put simply, if you’re seeking one-of-a-kind custom beer steins that will wow customers and make your brewery or brew pub stand out from competitors, then you’ve come to the right place. Grey Fox offers twelve distinct styles of wholesale beer steins you can use to surprise and delight your parched patrons. Best of all, each of these stein styles pairs wonderfully with certain brews, leveraging unique shapes to enhance the aroma and flavor of the beers they contain. Along with choosing different stein styles to complement your selection of drinks, your business can customize its steins through our wealth of dynamic glaze options. 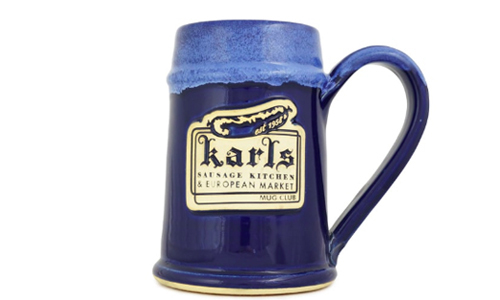 We can outfit your steins with a standard single-color glaze or a two-tone glaze finish. 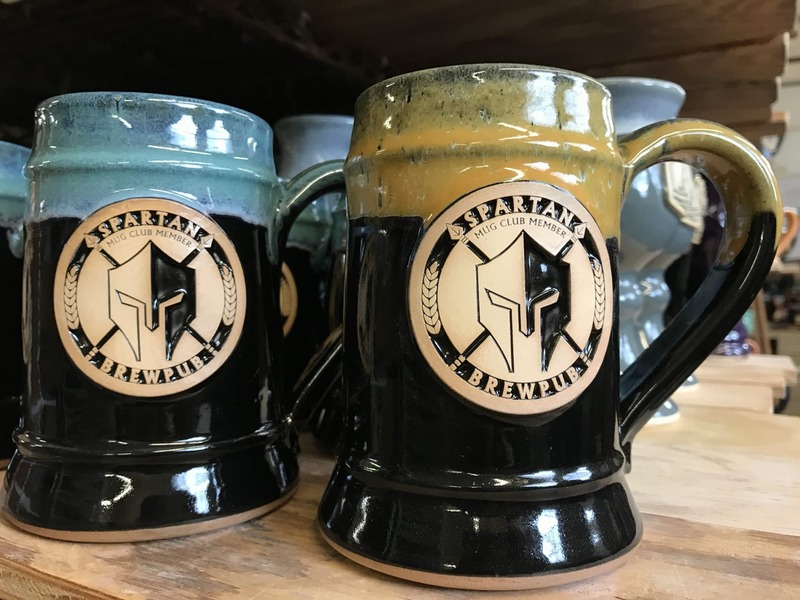 And when you add our wealth of glaze colors into the mix, you’re left with a veritable tide of awesome aesthetics for your wholesale beer mugs. Grey Fox Pottery mugs combine class and style with strength and affordability. Because every piece of Grey Fox pottery is made from durable stoneware, our steins are highly resistant to chipping and being worn down when washed. All of our custom beer steins also come with an optional cork O ring, allowing you to keep track of your mugs by numbering them. 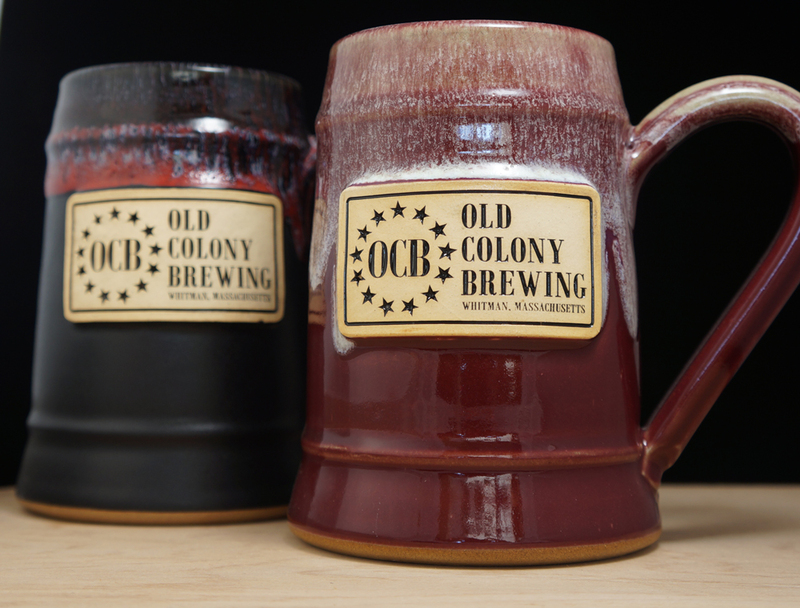 Most importantly, all of our glazes are lead-free, food-safe and microwave-friendly, making Grey Fox wholesale beer mugs a natural choice for any brew pub or brewery. Note: We recommend washing your custom beer steins by hand to keep their corks in prime condition. 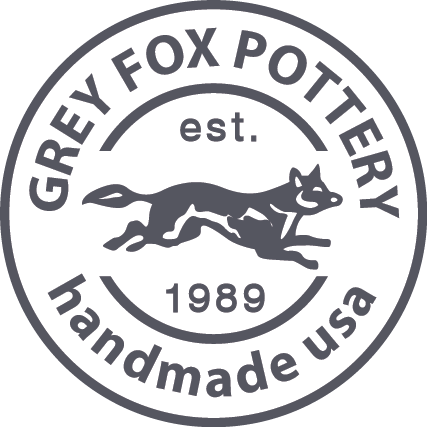 At Grey Fox Pottery, we offer top-quality branding and marketing services, empowering our customers with all the tools they need to promote their brand and drive greater business results. Our minimum order size for stoneware steins is just 48 pieces, making Grey Fox a perfect pottery provider for both large and small merchandising efforts. Whether you need hundreds of branded beer mugs to pass out at an upcoming brewery event or 50 steins to stock your gift shop with, we’ve got you covered. 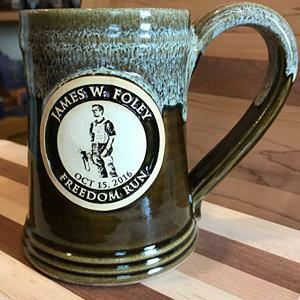 If you’d like to learn more about our wholesale beer steins, or speak with one of our pottery experts about using stoneware merchandise to meet your business needs, then be sure to contact Grey Fox during regular business hours. We would love to chat with you about how we can bring your creative marketing ideas to life. 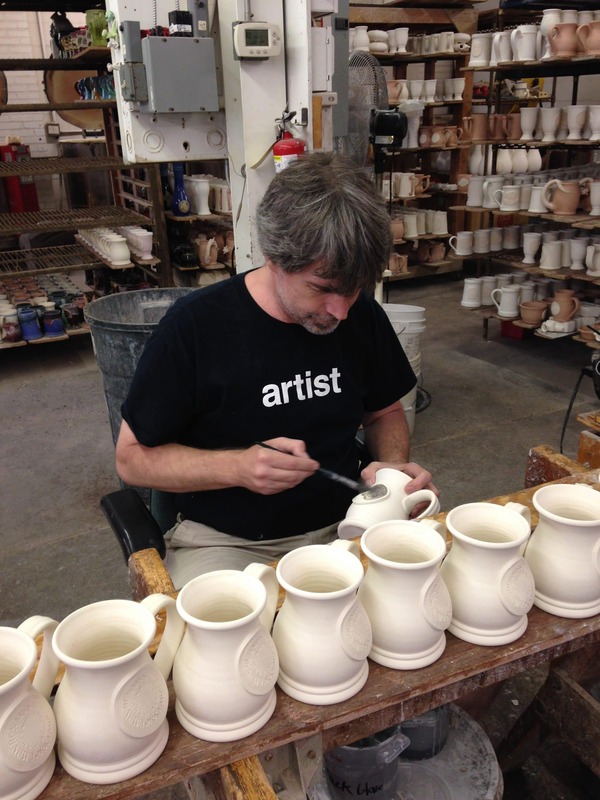 All Grey Fox beer steins are handmade with care by our seasoned American artists. When you order from Grey Fox, every dollar you spend contributes to our country’s economy and continued success. Unlike the typical, mass-produced pint glasses that most breweries and brew pubs use and distribute among patrons, Grey Fox ceramic pieces are durable, stylish and truly one of a kind. When you sell or give out handmade beer steins, you’re rewarding customers with high-quality gifts that set you apart from the average business, driving brand loyalty and customer retention. And because Grey Fox steins are so sturdy, they’ll continue to serve and spread the word about your brewery or pub for years to come. Custom branding is the key to drawing in new business for pubs and breweries. The Grey Fox team has perfected the logo process, ensuring that every stein you order is on-brand and shows your business in the best possible light. No matter how simple or complex your logo or artwork is, our American artists have the skills and passion to recreate it with exceptional accuracy. We know how highly you value the integrity of your brand, which is why we’ll work with you every step of the way to guarantee full satisfaction with your investment. Grey Fox works with hundreds of individuals and businesses of every size and industry, and we would be honored to help your organization up its branding game. Many pubs and breweries underestimate the value of handing out beer steins to customers at events. Whether you’re hosting a big fundraiser or just a lighthearted seasonal event, branded beer steins can deepen brand loyalty among current patrons and convince new ones to come back for more. Moreover, because steins pair style with utility, they’re an excellent way to provide consistent marketing for your business. When your customers use their handmade beer stein every day among friends, family and acquaintances, they’re effectively acting as brand advocates—spreading your name and artwork far and wide to pull in new business without even trying. Giving away even a few branded steins at a brewery or pub event is a great way to set up cost-effective advertising that fosters growth and customer loyalty. 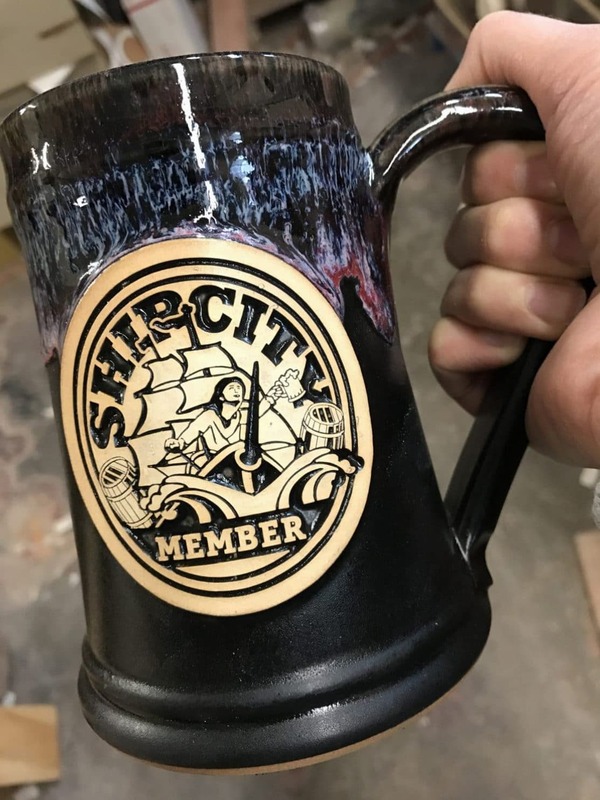 One of the best ways to build customer engagement and loyalty for your brewery or brew pub is by starting your own mug club. These programs encourage your patrons to try every beer on the menu within a set time frame, rewarding them with a custom mug for their efforts. But to make a meaningful impact on your loyal customers, it’s imperative to make this challenge worth their while. That’s where custom beer steins from Grey Fox come in. 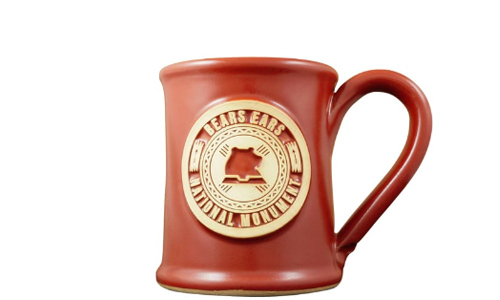 Break away from the dull, cheap mugs your competitors are using, and honor the members of your mug club with a reward worthy of their passion and commitment. 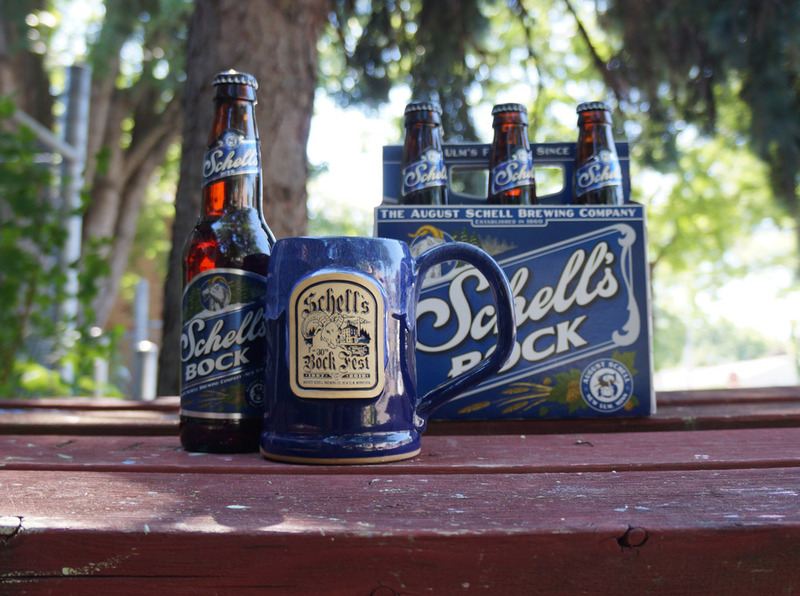 Another perk of branded beer steins is that they’re a great way to support the causes you love. Because Grey Fox offers the most flexible design and branding options in the industry, we can help you create a gorgeous stoneware stein that targets the audiences you care about. 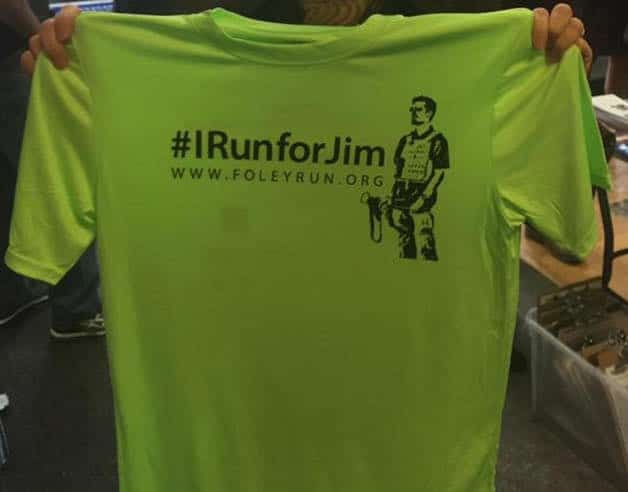 When it comes to marketing a good cause, the creative possibilities are endless. Together, we can find the best approach for your specific business needs and goals.